So I just got back from Tofino and I have to say, the weather there was pretty terrible! It is, however, still summer. I’m torn on the subject of weather because as a knitter I love indoor weather but as a parent of a busy bee of a 1.5 year old I need some better weather before we go stir crazy! But I digress. 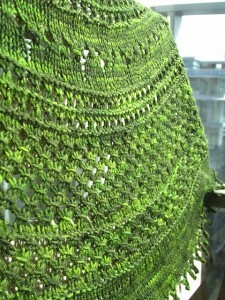 It’s time to think about some summery fibers and I have just the combo for you: Firefly from Classic Elite and Summer Flies by Donna Griffin. This pattern seems to be an addictive one. It’s on a lot of people’s lists of ‘To Knit’, which isn’t too surprising since it combines simplicity and interest, a winning combination. What is surprising is that those who have knit it seem to feel an urge to cast on for a second right away. Perhaps in a different colour. Maybe a different yarn or fiber. Maybe one for a gift….the list goes on! 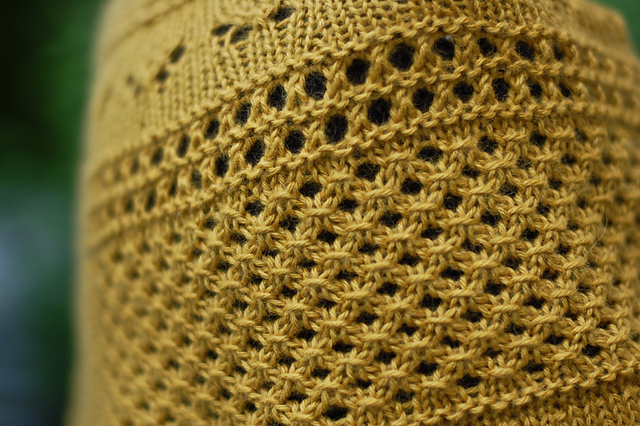 A perfect yarn for this pattern is Firefly from Classic Elite. It has an intriguing mix of linen and rayon, giving it a light summery feel. It also has great colours and a certain sheen to it that gives me pause when I walk by it’s cubby. 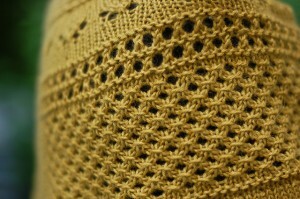 A lovely yarn for Summer Flies! This entry was posted on Wednesday, July 4th, 2012 at 3:36 pm	and is filed under Uncategorized. You can follow any responses to this entry through the RSS 2.0 feed. Both comments and pings are currently closed.